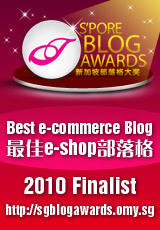 pling is selected as one of the Top 10 Finalists in Singapore Blog Awards 2010 for Best e-Commerce Blog! The news came yesterday, and immediately I shared this on the FB page. I was letting this sink into my system, so that I can write with some sense today. Yes, I’m that excited. Somehow, I still can’t believe it. I’m not exaggerating, because there are really a lot of good blogshops out there, and pling is a humble start-up – doing our thing quietly and surely, and hoping to share good work with everyone. 1. 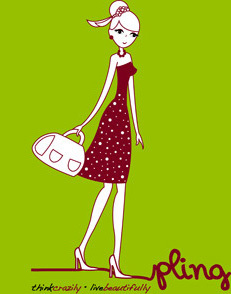 Logon to the Singapore Blog Awards site. 3. If you are not an omy member, find the registration balloon at the header of the site. (See picture above: Circled in green) and create an account to start voting. 4. If you are already an omy member, or after you register and verify your account, find pling’s logo (Circled in yellow) and click on the pink banner at the bottom RH corner to ‘vote’ now. Do you have upadate about this year?